2:30 Friday afternoon, tell the boss you've got an offsite client meeting. Load your bike on our trailer and jump on our bus. We drive you straight to Maydena in time for Phat Friday, 3 runs down Maydena's epic trails followed by a free beer. Maybe followed by more beer and some pizza. And then best of all we drive you back to Hobart, singing "If you like Pina Colada" all the way. 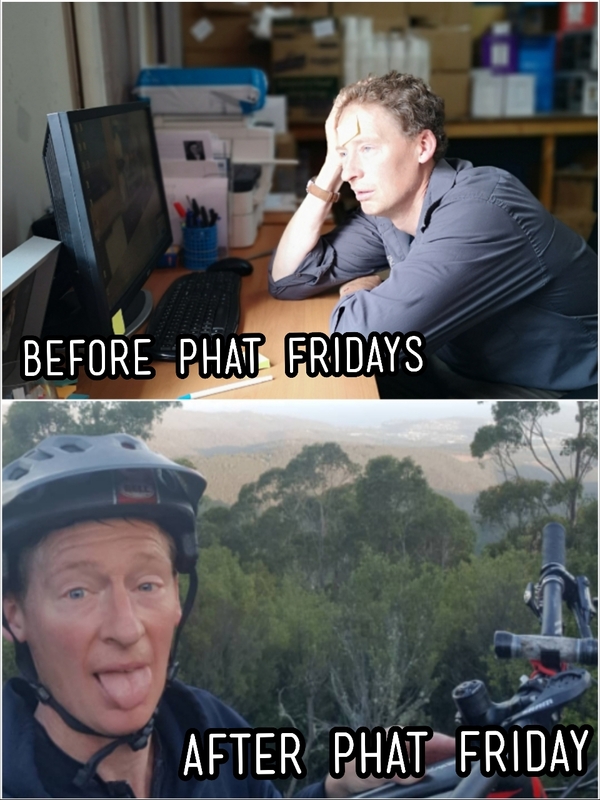 What: Bus trip from Hobart to Maydena to coincide with Maydena Bike Parks Phat Friday session. Ticket includes bus trip, bike transport, Maydena ride pass and a a beer. How: You book a ticket with us online. Turn up at the above time and place. Get on the bus. Why: Geez, if you have to ask why you'd want to ride bikes and drink beer on a Friday night over summer turn your computer off, put you phone down, head to the laundry and get a head start on the weekend's washing. This ain't for you. If you're asking "Why do it with you guys? Why not drive myself?" that's a slightly better question. And if you're the kinda guy who likes to ride easy and leave plenty in the tank or the kinda girl who's happy to drink a small lite beer so you can drive home without feeling tired or drowsy or you're the type of person who likes to listen uninterrupted to ABC's PM program on the car radio then you might save yourself $5 if you drive, and $5 is not nothing ( to you ). But if your the kinda guy who falls across the line totally spent on the last run of the day with nothing left in the tank or the kinda girl who thinks post bike sessions should be measured in equal parts tall tales, pizza and beer and if you're the type of person who thinks a road trip is for making friends, talking bike and singing bad 80's music a little bit too loud then get on board the Phat Friday Flyer.